This is the ultimate chair for plein air painters! 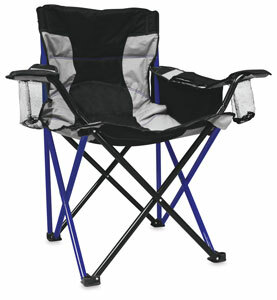 The Caravan Elite Quad Chair is designed for both convenience and comfort. Lightweight and collapsible, it features a generously padded seat, back, and armrests for long hours spent painting outdoors. You won't go thirsty thanks to the built-in cooler, which holds up to six cans of your favorite beverage within arm's reach. With a durable powder-coated tubular steel frame, the Elite Quad Chair is also equipped with a mesh cup holder in the armrest and a handy side storage pouch for your sketchbook, tablet, and other supplies. The armrests are adjustable so you can create your own custom configuration with ease.